Our contract cleaning services are of the very highest standard. 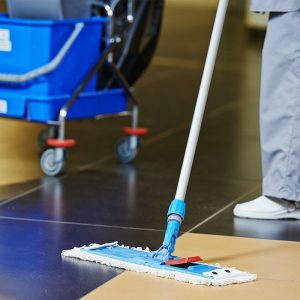 Many businesses and service providers have a regular and ongoing cleaning requirement, necessary to ensure that employees and customers can carry out their day to day business in a clean and safe environment. 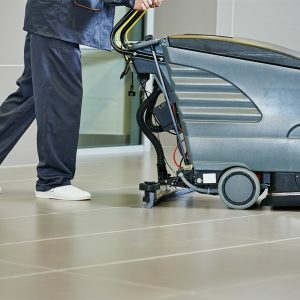 This may be a suite of offices where employees expect the cleanliness of their working environment to be maintained but can similarly be a workshop or factory with specific Health and Safety requirements. Likewise, hospitals, GP surgeries and other healthcare buildings have specific CQC requirements necessary to ensure the comfort and safety of staff, patients and visitors. Many of these services are required on a daily basis, some less frequently and others on an ad hoc basis. Whatever your requirements we will provide a bespoke service to meet your needs. If you’re interested in discussing our Contract Cleaning services, then please get in touch on 0800 772 0178 or operations@handwltd.co.uk. What Are The Main Benefits of Using Heath and Wiltshire? Flexible Cleaning Service: We provide a completely flexible cleaning service which will be tailored to meet your specific requirements. One Point of Contact: You will have one point of contact who will be available to discuss and review your ongoing requirements and deal with any issues promptly. ISO 9001 Accreditation: We are QEC ISO 9001 accredited and therefore have the strategic tools, knowledge and quality management systems in place to make sure all of our customers receive a consistent service. SafeContractor Accreditation: We have SafeContractor accreditation which ensures that we meet health and safety requirements mandated by current health and safety legislation. CQC Compliance: We provide CQC complaint cleaning services which hospitals, nursing homes, care homes, residential homes, GP surgeries, dental practices etc. require. Regular Audits with IAuditor: We use IAuditor for every audit we do in order to provide the very best audit information for our clients. This provides peace of mind that regular cleaning is consistently of the highest safety and quality standards. Our aim is to manage your ongoing cleaning requirements, leaving you free to concentrate on your day to day business. On contacting us you will be allocated a single point of contact who will be responsible for arranging an assessment of your requirements in consultation with you. Once a service package has been agreed that individual will remain available to discuss any changes to your ongoing requirements or to resolve any issues you may have. No two clients are identical, and the service we provide will be tailored specifically to meet the nature and scale of your requirement. In consultation with you, we will regularly review your service to ensure that it continues to meet your needs. We also recognise that not all clients have the same cleaning requirements throughout the year and that levels of business, and even weather conditions, can cause them to vary. A good example of this would be a National Trust property where footfall may reduce during the winter months, but the mud brought in on muddy footwear certainly doesn’t! We monitor these situations closely to ensure that our service is adjusted appropriately. We source and manage all team members locally and ensure that they are fully trained and equipped to meet your needs. All of our cleaning services can be utilised on an ad hoc basis but many of our customers have regular ongoing requirements and prefer to have a planned cleaning schedule in place. This ensures that cleanliness and safety standards remain consistent and are not neglected due to other business pressures or during particular busy periods. Although it often makes sense to have a cleaning schedule in place, unexpected events often mean that additional services are still required on an ad hoc basis and these can be discussed with your point of contact at any time.